PEA has some of the finest, modern training aircraft available in the world today. Additionally, our aircraft are maintained to the manufacturers standards by our on-site, factory-trained technicians to ensure the highest possible safety standards are met at all times. Continue reading to gain an insight into what it’s like to fly our fleet of aircraft. WHEN it comes time to earn your multiengine rating at PEA, you’ll find yourself climbing into one of these Diamond DA42s. Prepare for a near mind-altering experience with the Diamond even as you approach the airplane for the first time. 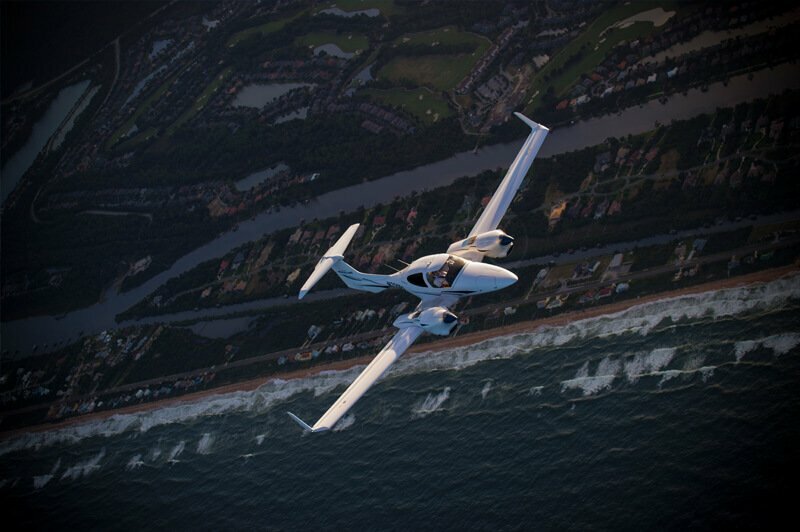 With a sleek dagger-like nose, near bubble canopy and winglets, the DA42 looks as if it’s already doing 100 knots still sitting on the ground. If you’re nearby when a DA42 fires up one engine after another, be ready for a sound that may also seem a bit alien at an airport, because this airplane is powered by two Austro diesel engines that each produce 168- hp. The airplane burns jet fuel not avgas. Climb on the wing for a first look inside and you’ll quickly notice with the canopy hinged near the top of the instrument panel, that it tilts forward to allow for easy entry to either of the two seats in front or back. If you’ve never experienced an aircraft without a control wheel, this might be your introduction to a control stick replacement. The instrument panel should look pretty familiar if you learned to fly in a PEA Cessna 172, because the same Garmin G1000 system from your single-engine training drives the DA42’s electronics. Engine operation is also simple with just two power levers that look very turbine-engine like. 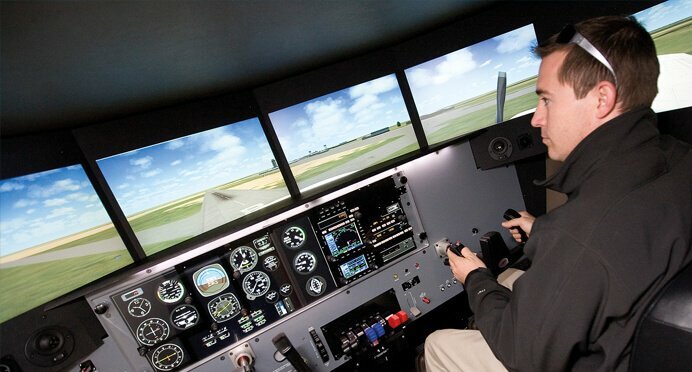 In flight, the visibility is impressive enough to make students feel comfortable about their ability to watch out for air traffic while they train. Suffice to say that pilots who earned their multi-engine ratings using an earlier, less forgiving generation of twin engine piston powered airplanes will feel a twinge of jealousy when they watch you and the DA42 taxi in from a training flight and hop out of the cockpit smiling. You could certainly call the Cessna 172 a popular airplane – some 43,000 have taken to the skies since it was introduced in 1955. If you haven’t yet flown the 172, you’ll soon learn that one secret to its popularity is the simplicity of its design. Student pilots can rest easy knowing they’re flying an airplane that has already trained hundreds of thousands of pilots around the world. Cessna didn’t scrimp on standard equipment. The cockpit comes standard with the Garmin G1000 suite integrating two 10.4 inch, high-resolution liquid crystal color displays, one functioning as a Primary Flight Display and the other as an aircraft Multi-Function Display. 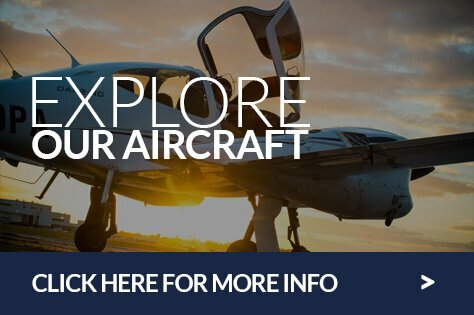 The system includes a moving map, traffic alerts and digital weather – all the tools you’ll need to learn to fly and prepare you for the more sophisticated aircraft you’ll pilot once you leave PEA. Because stalls represent the unknown to students, Cessna has worked hard to ensure that the aircraft’s manners are flawless when new pilots are practicing this necessary element of learning to fly. The feel of the flight controls is a great balance between not too heavy and not too light, while the elevator commands solid pitch authority throughout the speed range that can be felt right down to the stall regime. For any students hoping that big solid 172 landing gear will deliver perfect landings every time, even Cessna won’t promise that. But then, that kind of guarantee would rob a novice pilot of all the fun and thrills they’ll have trying to execute the perfect landing each and every time! YOU don’t see a Super Decathlon on the ramp at every flight school because this is a special airplane, designed with a very special purpose in mind … besides fun of course. But that beefy airframe and oftenoutrageous paint job make it stand out when you do find one. 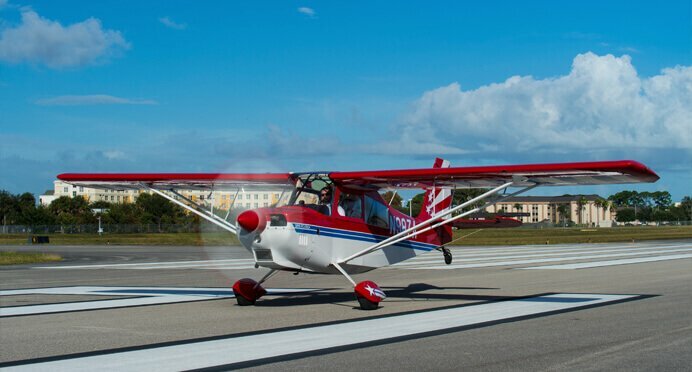 We use the Decathlon – 8KCAB if you’re logging time – to teach the basics of operating a tailwheel airplane and to serve as the primary tool in an Upset Prevention and Recovery Training (UPRT) program like those that will soon become required for new pilots in much of the world. Best of all, because of the physics behind taildragger operations, learning to fly this airplane means understanding crosswind operations like you never did before. Inside, the seating is non-traditional, with student in front, instructor behind. Even the controls are different from what most new pilots have experienced, with a control stick replacing the control wheel and the throttle attached to the left sidewall. Once the engine roars to life, you’ll know this is no mere pretty bird, but rather an airplane that will both challenge and reward you with maneuverability practice like no other airplane. Just move the control stick left and a right an inch or so at a time in cruise and feel how the Decathlon responds. It’s because of this airplane’s agility that it’s used for UPRT. This new training is designed to make pilots aware of their flight attitude long before they ever lose control of an airplane and after six hours in the Super Decathlon, you’ll be a much better pilot. A minor element that makes flying a Decathlon fun is the airplane’s glass ceiling so the pilot can look up at the wild blue yonder? There’s no such option in most other airplanes. The Redbird is a high-quality, feature-rich motion flight simulator which provides technologically advanced flight training in a safe and secure environment. It offers a unique training experience for students. It includes wrap-around visuals, a fully enclosed cockpit, reconfigurable construction, and a motion platform.  Phoenix East Aviation has an extraordinary staff of over 50 instructors to guide student pilots throughout their training. Instructors are from the U.S. and from countries worldwide; they are all experienced in training both domestic and international students. 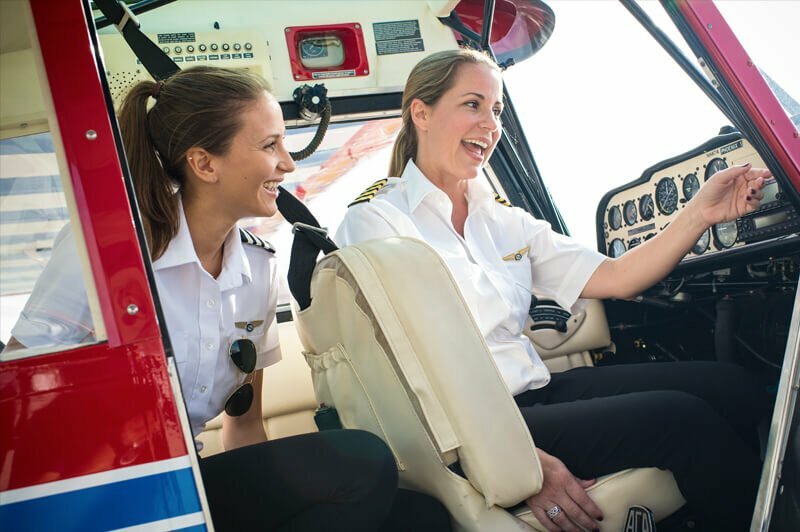 Instructors are also full-time, available to students seven days a week, not just on limited days or hours, as is the case with many other flight schools. This allows the highly motivated student to progress through training more quickly. Phoenix East instructors have been trained in the U.S. under FAR Part 141 and hold Certified Flight Instructor (CFI), Certified Flight Instructor Instrument (CFII) and Certified Flight Instructor Multi-Engine (MEI) ratings. Phoenix East understands that the quality of the instructor is an important determinant of the success of the student pilot. 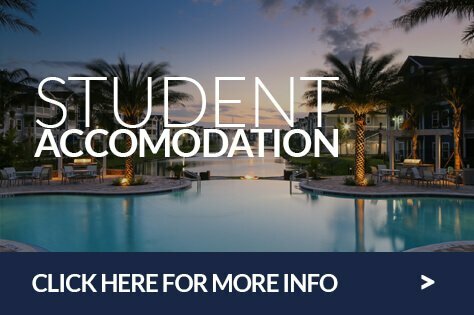 Therefore, all instructors are carefully screened to ensure they are experienced professionals who have the ability to teach and communicate effectively to students. Instructors are regularly evaluated to assure continued high levels of teaching proficiency. Phoenix East instructors are also skilled at ascertaining students’ individual learning and motivational needs and coaching to maximize comprehension. A large percentage of Phoenix East instructors hold university degrees in Education and/or Aeronautical Studies. 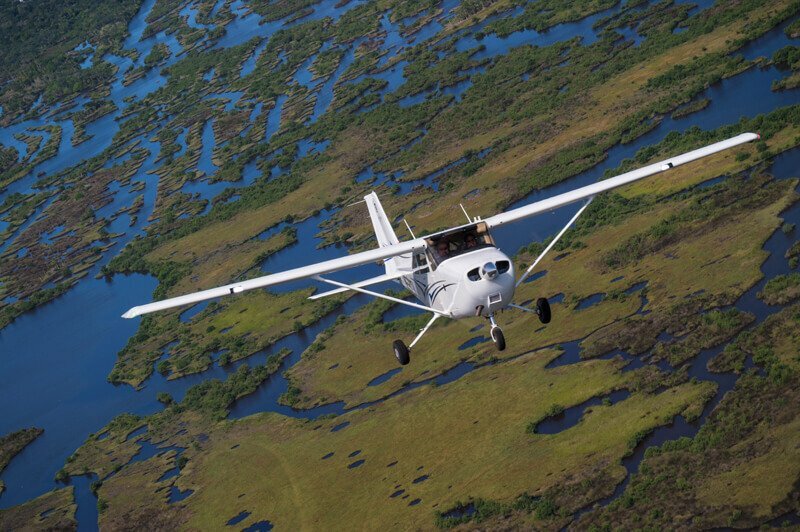 All are qualified to provide both flight and ground instruction. 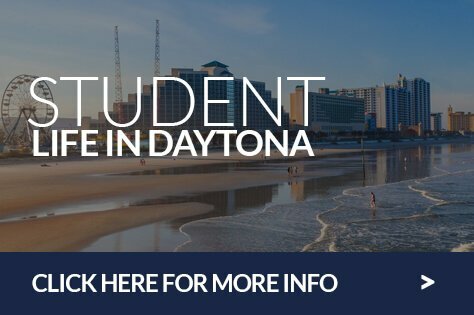 Our students are employed by major airlines and corporations throughout the world. This is a reflection of the excellent teaching by Phoenix East instructors.